United’s transfer business has been delayed by the incredible upheaval at St James’ Park, but a long lunch summit between Carr and Kinnear will be the signal for Newcastle to begin strengthening the squad – with the first set of offers set to be tabled in the next few days. The club are understood to be in the market for at least a centre-back and a striker – with a forward to play alongside Papiss Cissé identified as the priority. Before Alan Pardew headed off on holiday last week, he spoke to Kinnear over the phone and forward Darren Bent and defender James Tomkins, of West Ham, were mentioned. But Carr’s extensive Continental scouting means that Newcastle are unlikely to lose their international focus completely, even if a move for Douglas was scrapped at Kinnear’s insistence. That led to claims that United’s highly-rated talent spotter was on the verge of stepping down but Carr remained in place, and has now held talks with Kinnear over the club’s new recruitment strategy. to improve on last season’s lowly 16th place. The fact that discussions between Carr and Kinnear have taken place is indicative of a club that is trying to regroup after a week in which Mike Ashley made one of the most controversial appointments of his tenure on Tyneside. The Journal understands that United are ‘open for business’ again after the chaos and uncertainty of the past eight days. As well as discussions on transfer targets, the club are also ready to turn their attention to re-negotiating contracts again – with contact having been made with Hatem Ben Arfa’s representatives over the possibility of a new long-term deal. The club handed new deals to youth team trio Michael Richardson, Conor Newton and Paul Dummett yesterday and by the middle of next week it is expected that Kinnear will have taken residence in his new office at St James’ Park. So far, the director of football has been doing most of his business over the phone. He is understood to have been given the green light to assess the first-team squad and reserves, with Ashley disappointed with the way the squad’s fringe players performed last year. As revealed in yesterday’s Journal, Romain Amalfitano and Mehdi Abeid will both be allowed to leave the club. Meanwhile, Cheick Tioté is looking forward to the new season with renewed optimism despite the upheaval. In an interview with the club’s official website, Tioté suggested that it is “unimaginable” that they will repeat the failures of last term. 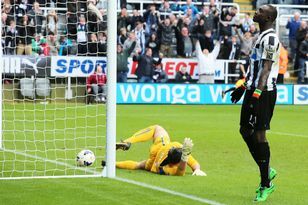 “Last season was not the best for Newcastle. It was a hard season in the Europa League and the Premier League – but we have had some time off to rest now,” he said. “It was really difficult for all the team, but when you see the season, the most important thing was just to stay in the Premier League.